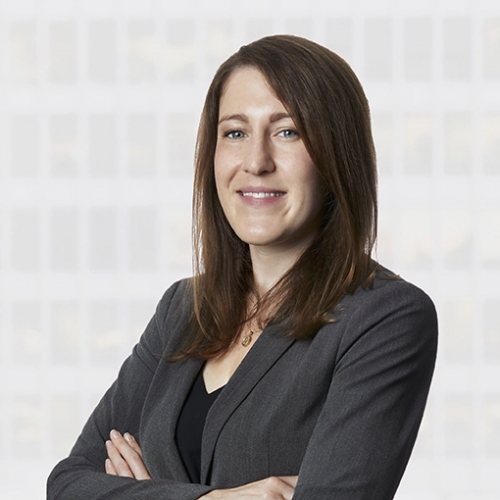 Erin Crochetière articled with the firm before returning as an associate in 2018. Her civil litigation practice focuses on insurance defence, motor vehicle accident claims, occupier’s liability and product liability. Erin obtained her law degree at Queen’s University where she was also involved with the Queen’s Law Journal, Queen’s Legal Aid and the Moot Court Program. While in law school, Erin twice competed in the National Laskin Bilingual Moot Court Competition and was involved in the organisation of the first Queen’s Law Grand Moot. Prior to attending law school, Erin obtained her Master’s degree in Ancient History at McGill University. In her free time, Erin enjoys visiting family, running outdoors and trying new restaurants.